Facebook updated its iOS app for iPhone 6s and 6s Plus, and we also found great iOS updates for Day One and TripAdvisor. Plenty of apps are supporting the new 3D Touch feature on the iPhone 6s and 6s Plus—we rounded up 32 free apps using 3D Touch just the other day—but some pretty major apps were slow to add support. Looking at you, Facebook. 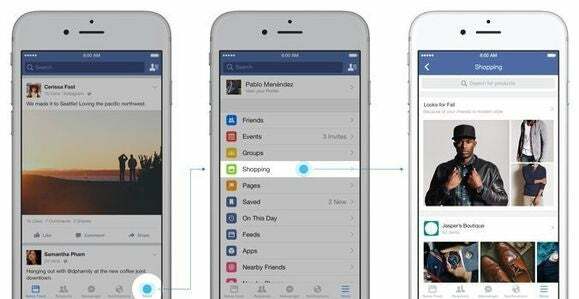 Facebook updated its iOS app on Monday, with its usual incredibly unhelpful update notes. (Paraphrasing: We update our app every two weeks, but we won’t tell you what is in the new version until after you’ve updated and launch the app, that is, if we think you need to know.) What the notes don’t disclose is that this update, to version 41.0, adds 3D Touch support for users of the iPhone 6s and 6s Plus. 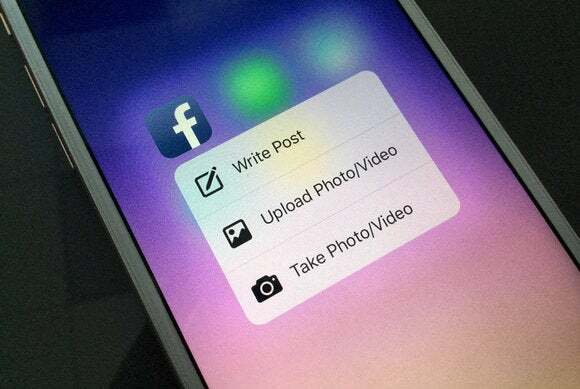 On those devices, you can hard-press the Facebook icon on your home screen to write a post, upload a photo or video, or take a new photo or video inside the Facebook app itself. Some users are also seeing a brand-new Shopping feed inside the Facebook app, with carousels of product ads. Tap one to open a full-screen view, which Facebook calls Canvas, with larger photos, more views, and a link to buy them on the retailer’s websites. Some businesses are even using Facebook’s Buy button to sell you products right on Facebook. 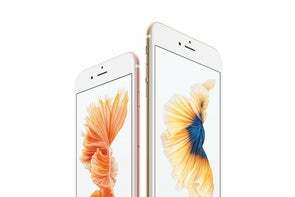 A corporate blog post outlines the changes, but this is still a test, so it hasn’t rolled out to everyone—none of here at Macworld HQ are seeing the Shopping section. Facebook is testing a new Shopping feed, just in case you want an entire feed of ads. 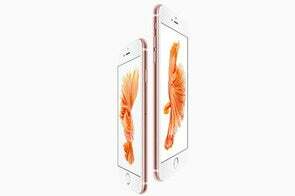 Facebook isn’t the only app that added new tricks for the latest and greatest iPhones. Day One, one of our favorite journaling apps, released version 1.17.4 on Sunday, including a 3D Touch menu that lets you quickly jump to New Entry, New Photo Entry, and Last Photo Taken. Day One’s streamlined, more responsive Apple Watch app. The update also comes with a new Apple Watch app that takes advantage of watchOS 2.0, with a more streamlined design. 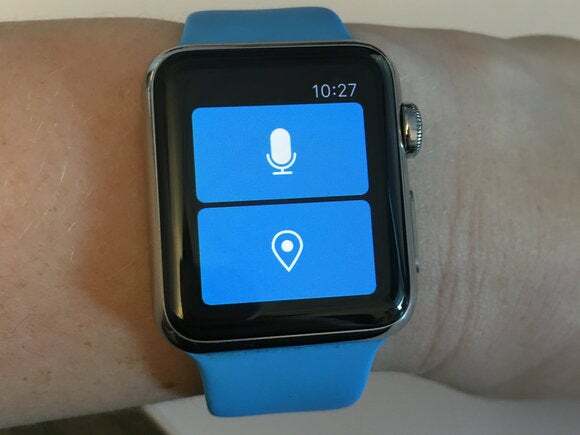 Launch it, and you’ll see a big microphone button that lets you dictate a short entry, along with a location button that lets you quickly log your location. That’s it. Clean and simple. TripAdvisor’s update for iOS 9 lets you find things inside TripAdvisor right from the Spotlight search. 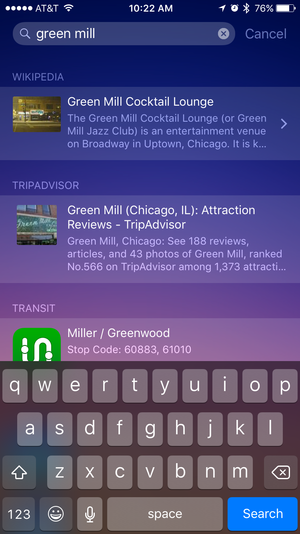 TripAdvisor also pushed out an iOS 9 update on Monday to support Spotlight Search. Now if you search for a restaurant, hotel, or attraction that you’ve previously saved in TripAdvisor, you should see a result that lets you jump right to that listing inside the TripAdvisor app.